To fill out the Past Life Profile ONLINE, CLICK HERE!!! 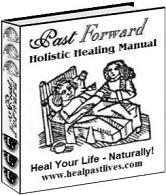 To get more information on the Past Life Profile instantly sent to your Emailbox by Emailing profile@healpastlives.com. Your past lives effect you everyday in ways great and small: from the health you enjoy (or if and how you suffer) to the how much money you have (or the debt you owe) to the personal relationships that bring you indescribable joy (or unbelievable pain). Are You Being Effected by Past Lives? Every belief that is creating your reality today can be directly traced back to events in this or other lives. Today you are living and repeating the lessons you did not learn in your past lives until you get them right. These problems from your past lives have predetermined your future. The past will continue to predetermine your future until you decide to take control. Taking control means healing the physical, mental, emotional, and / or spiritual blocks from past lives that are keeping you from being everything you are meant to be today. Are YOU Being All That You Can Be NOW? Many people alive today are so deeply blocked by problems from their past lives that they are unable to tap into all their talents, skills, and abilities. Past life blockages keep them from claiming the abundance of love, money, and joy that is their birthright as children of God. Empower YOUR Future and "be all that you can be!" How You Can Find Out EXACTLY How YOU are Effected by Past Lives! This Past Life Profile is the result of years of research based upon hundreds of hours of past life counseling with a diverse client base. After this much experience, we have discerned common patterns of human experience which reliably indicate how deeply a person is presently effected by their past lives. The way that you answer the questions posed in this Past Life Profile reveals whether or not your past lives are effecting you in a healthy or a harmful way. If the pattern is HARMFUL, the results of this profile will suggest whether or not you need past life healing. It will also suggest which of our exclusive, past life exercises would enable you to begin right away to facilitate your own healing - even before seeking treatment from a professional. To go directly to Past Life Healing Exercises and start your healing instantly, click here. The goal of the unique holistic counseling services "Past and Now Forward" offers is to help you free yourself from whatever blocks are preventing "from being all that you can be today"... physically, mentally, emotionally, and spiritually. Often, all many people need to do to become free of the past is simply to become aware of it. Just by filling out this profile you may even be able to see for the first time just how the past can effect you and how, in fact, it has already effected you. There is NO Risk... 30 Day Money Back Guarantee! The answers to the health, wealth, happiness, and relationship problems that have eluded you for lifetimes could just be a few minutes away. Doing this profile could end up being the best investment you have ever made in yourself. Remember all you have to lose by completing this profile are your problems!! FOR FASTEST RESULTS, Complete the Past Life Profile ONLINE!!! Click here to go the ONLINE PAST LIFE PROFILE FORM. * Viewing the PROFILE requires the Adobe Reader, Click Here to get this FREE!